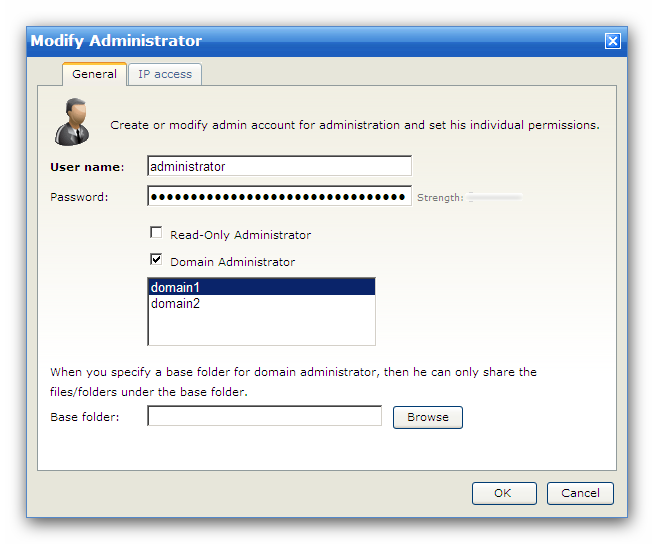 An Admin User account is required to administrate your server. Also known as the "Login ID", the username is provided by the administrator as one part of the session authenticating process to the Server. User name must be unique on the server. User name can not contain any of the following special characters: \ / < > | : ? *. Password is required for a session to be authenticated with the Server. A strong password contains at least 6 characters including a mixture of upper-case and lower-case letters and at least one number. Restrictions can be placed on the length and complexity of passwords through limits configuration. If enable the option "Read-Only Administrator", then that administrator can only view server settings and can't change server settings. If enable the option "Domain Administrator", you must select one or more domains below, then that administrator can only administrate the selected domains (manage users, groups or activities). You must enable the option "Domain Administrator" first, then you can specify a base folder for that domain administrator, then he can only share the files/folders under the base folder. 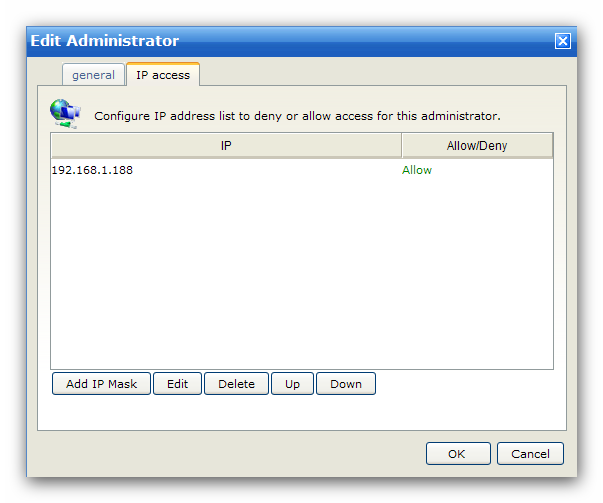 You can define IP access rules to allow/deny users' access based on IP address for this administrator.